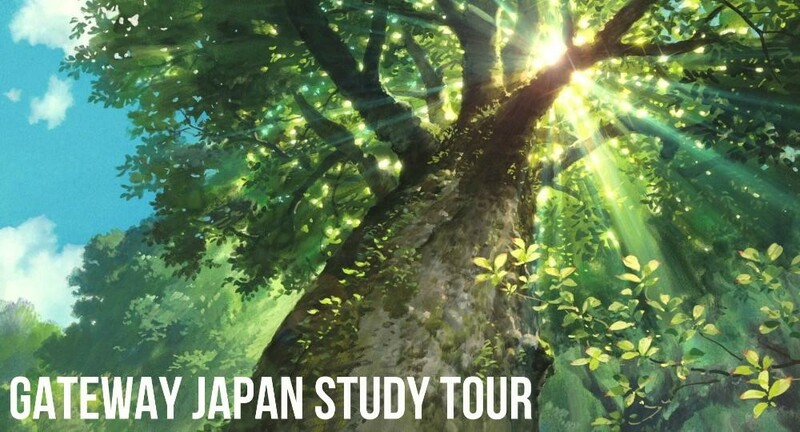 Held in the lush Japanese spring, the Gateway Japan Study Tour is a unique ten day mid-semester program for students enrolled in either ASIAN GIANTS: JAPAN, CHINA & INDIA (ASIA 2024) or Environment and Development (GEOG 2141). Gateway Japan provides a unique opportunity for students to explore questions of sustainability and governance in Tottori, Japan. A special feature of this program is the focus on sustainability outside the existing boundaries of academic fields and disciplines, western cultural frames of reference and the urban-bias of industrialised civilization. This will give you an in-depth understanding of the challenges and possibilities all countries face in the post-Fukushima era in relation to energy, ecology and human society. It will be particularly valuable for students interested in pursuing further study or employment in fields related to Asia. This study tour has been designed and run by the Department of Asian Studies in the School of Social Sciences in conjunction with Tottori University. NOTE: Places on this tour are limited and a competitive entry process will apply. Applications will be considered as they are submitted, with reference to academic strength, motivation, past experiences, and various other factors. DUE DATE: Monday 6 March 2017, 5pm. The 10 day program starts on Monday, 10th April and ends on Wednesday, 19th April 2017. Program cost AUD$2,200; which includes the program fee and accommodation. You will need to cover your airfare, transport to and from Tottori, accommodation outside the program, and other additional expenses, such as food, local transport, and extra-curricular activities. Food is not included in the program fee. Please note that University of Adelaide tuition costs still apply for ASIA 2024 and/or GEOG 2141. Students may be eligible for up to AU$7,764 in OS-HELP funding. All participating students will also receive the $500 Global Learning Travel Grant. Note: Meeting the eligibility criteria does not guarantee you a place on the tour. Students may need to meet with the coordinating academics, and have to attend the compulsory pre-departure briefing sessions. The program begins with a preliminary meeting at the hotel in Tottori. Students need to travel on their own from Kansai Airport to Tottori (a pre-arrival guide will be provided). The study tour is a mixture of study at Tottori University followed by afternoon excursions, and long-distance field trips. The field excursions are designed for you to explore such themes as energy, revitalisation or rural economy, education, local governance, and spiritual heritage within the broad framework of modernity and sustainability. Click here to download the full program and guidelines: 2017 Gateway Japan Study Tour Program. 3 units for ASIA 2024 or GEOG 2141. Some adjustments will be made to the assessment and attendance requirements for ASIA 2024 and GEOG 2141students who take part in this program. Check your eligibility for this program against the above criteria. Make your application by clicking ‘Apply Now’ above, on or before the deadline. NOTE: Applications will be considered as they are submitted, with reference to academic strength, motivation, past experiences, and various other factors. Although the application deadline is Monday 6 March 2017, 5pm. Please note that it is possible that available places are filled before then. For more information about academic and in-country program content, please contact the study tour coordinator Dr Thomas Wanner. For information about applications and administration, please contact Global Learning. This entry was posted in Exchange & Study Tours, News and tagged Asian Studies. Bookmark the permalink.